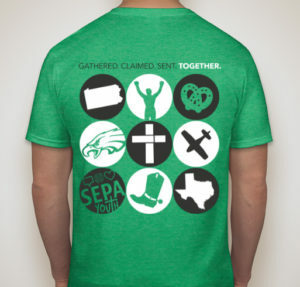 Sepa Youth | SEPA Gathering T-Shirts on Sale NOW! CLICK HERE TO ORDER YOUR GROUP’S SHIRTS TODAY! Represent SEPA at the ELCA Youth Gathering in Houston with our one-of-a-kind SEPA T-Shirts! 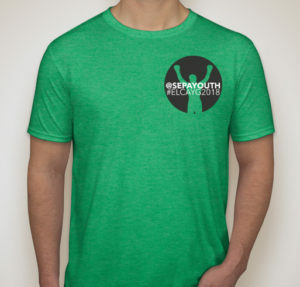 This year, you can order your group’s Youth Gathering T-Shirts fast and easily! Additional shirts can also be purchased by or for your fans back home. Shirts are NOW available for purchase and will be for sale until Monday, April 16! We will all wear our Synod T-Shirts on Synod Day at the ELCA Youth Gathering this summer in Houston! With each shirt purchased, you help in a small way to support need-based scholarships for SEPA youth to attend this summer’s Gathering in Houston! Sizes range from Youth XS – Adult 3XL.